Twitter has finally released the long-awaited Twitter Places, a new feature which allows tweeters to tag updates with their location, offering the chance to provide more information in their tweets without taking up vital character space. Users will be able to tag their tweets with well-known places, create their own landmarks or view all the tweets from a chosen location. The official Twitter blog uses the example of people tweeting from football matches in South Africa to demonstrate Twitter Places’ usefulness. “It helps to know where a Tweet is coming from—is that person watching the game on TV or is he actually in the stadium?” said Othman Karaki on the site's blog. The ability to place tweets is not the only feature of Twitter Places. The new application will also include full Foursquare and Gowalla integration; when a user of either social networking site checks in to a location the information can now be displayed on Twitter. People can also check out their favourite places on Twitter to see who has checked-in. Similarly, Twitter Places will have full API functionality, allowing developers to use Twitter Places in other applications. The feature will also support a variety of browsers, meaning that people can use it on Safari and Internet Explorer as well as Chrome and Firefox. 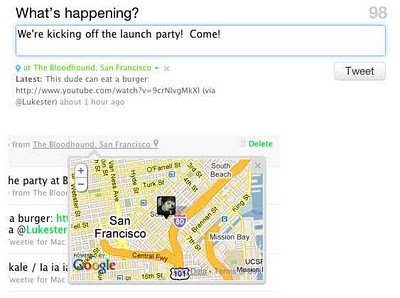 According to the blog, Twitter has worked in close conjunction with TomTom and Localeze to create Twitter Places. Using data from both companies, the social networking site has been able to pull together well-known places and their geographic locations into a comprehensive map system. If someone wants to tweet from one of these locations they simply have to select it from a list; if it’s not there, the user adds the address and place name and the location gets added to the Twitter Places database. So you’ve heard about the new feature Twitter Places and can’t wait to start telling your friends where you are all the time. How do you go about it? Underneath the tweet box there should now be a ‘Search places’ option. All you have to do is type in the location you wish to tag your tweet with and select it from the list. 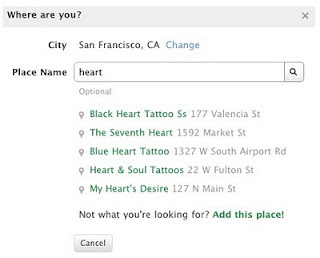 If the place you require is not featured on Twitter’s listed locations, it’s easy to add it on. Merely click on the ‘Add this place!’ link and fill in the address and place name when prompted. 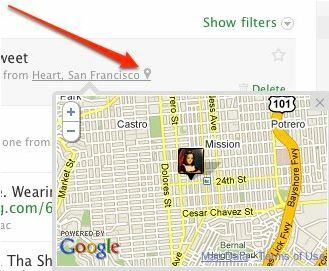 It is also possible to move the map pin to your precise location in order to achieve greater accuracy. Once a tagged tweet has been posted, followers can click the geo-pin in the tweet and find out where it has come from. It is also possible to click the place name within the tag to explore all of the most recent tweets originating from that location. Twitter Places is expected to roll out in 65 countries this week. Twitter is also expected to be working on making the feature compatible with different brands of smartphone, so it seems the micro-blogging site is expecting it to be very popular. If this proves to be the case, one can only hope that Tweeters don’t start using it to take ‘following’ too literally.